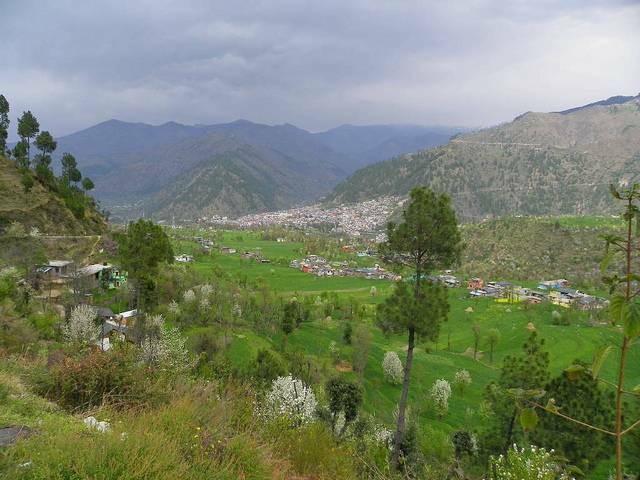 Chamba is a beautiful hill-station located in the high foothills, sitting majestically on a pristine plateau amidst Pir Panjal and Dauladhar ranges of Himalayas, overlooking the tumbling gorges of Ravi River. The region is a witness to the confluence of two rivers and a rich history around 2,000 years ago. Initially established by the Maru dynasty, the town is culturally an example of the Indian ‘Hill Kingdoms.’ The once capital seat of the famous Chamba kingdom named after the princess Chambavati, this little town still clutches the magical key to unlock you into the realm of the ancient kingdom. One can be a part of the many festivals and celebrations involving music, dancing, paintings, attires and local traditions which are all unique to this particular region. In the ancient times, the British originally had a strong hold over the city. It was only after the Treaty of Lahore which was signed in 1846 that relations became cordial. Unlike other Indian cities, the colonial influence is minimal. Be it a sparkling creek, the wildly winding slopes, the endless folds of greenery, the undulated vistas of serene scenery- this old town which is still speaking the untold stories of history through their fabulous folklores and colorful culture and traditions is sprinkled with nature’s golden touch on every spare space. In tourist attractions, The Church of St. Andrew, Chail Sanctuary & Chail Palace are some of the few interesting places in the vicinity. Temperatures vary throughout the year in Chamba. During the winter, temperatures drop down to freezing. The best time to visit would be between the months of April to October. Shopping for cultural delights is one of the main agenda for a visitor. Magnificent hand woven shawls with an ethnic style, hand-woven caps, jewelry items, and musical instruments are items that are unique to the region.Madra is the famous dish of the region. It is menu of chickpeas with yoghurt gravy. Try this out to treat your taste buds to a unique delicacy. There is handful of choices for food and accommodation as well.